Yahoo started in 1994 as a web directory, from 1996 AltaVista was offered additionally, if the catalogue did not show any correspondence. 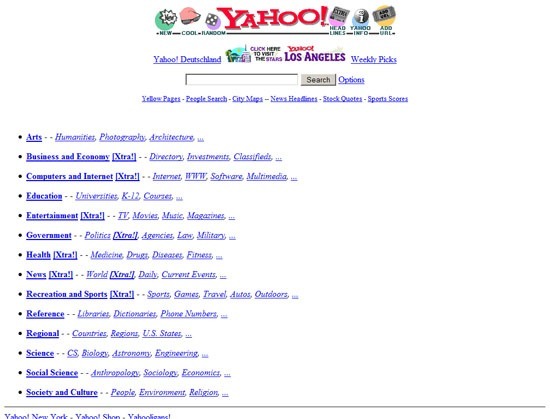 Yahoo comes from the USA and was developed by Jerry Yang and David Filo. In 1997, Yahoo introduced an e-mail service, other products followed, today Yahoo is a web portal (access to web products such as web, image, video, news search, mail, instant messaging, soping, community services and more). Since 1998, Inktomi has been used as a search engine in addition to the catalogue. In 2002, Yahoo gave up catalogue search and switched entirely to Google and in 2011 they switched to Bing, which is still in use today. 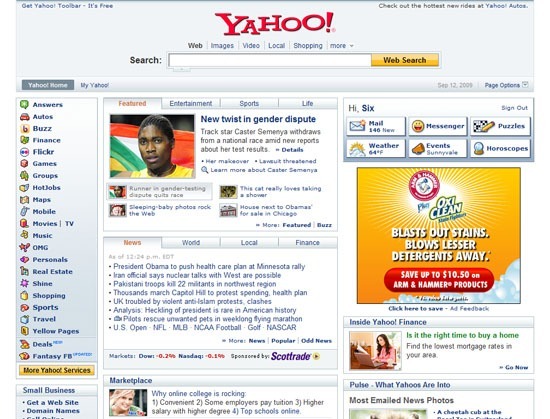 Launched Yahoo started in 1994 but offers a web search engine since 1996. JOSHUA YU (2013): »Yahoo! is best known for its web portal search engine (Yahoo! Search). 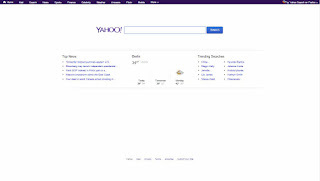 The search engine is available at http://search.yahoo.com and on it’s main home page http://www.yahoo.com, where you can find anything across the Web. Yahoo! is one of the most popular sites in the United Sates; roughly 700 million people visit their main page every month. Yahoo! reports that it has “more than half a billion consumers every month in more than 30 languages”. It’s important to note that Microsoft and Yahoo! are working together where Yahoo! Search’s backend is being powered by Bing (which means all of Yahoo!’s search results should be identical to Bing’s). In addition to Yahoo!’s Web Search, it has specialized search services including: Local, Product Search, Answers, Maps, Video Search, Directory Search, Mobile Search, Yahoo! 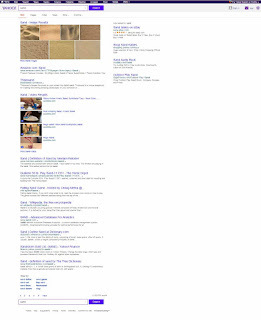 Search Blog, Image Search, and News Search. You can see the entire listing here.